Liangshan Juyuan Special Vehicle Manufacturing Co., Ltd, aprofessional special vehicle manufacturing corporation with more than 13yrs manufacturing experience, specialized in trailer, Semi Trailer, special vehicle manufacture. 1) Manufacturer, more than 13yrs professional experience. 2) CCC, SGS and ISO9001 certificate, 6month guarantee term provided. 3) Small order can be accepted. 4) Any color and logo will be available. 5) Products can be custom-made according to your design, or diversified needs. Our customers are all over Kenya, Tunisia, Saudi Arabia, Philippine, Myanmar, Vietnam, Bangladesh, Tanzania, Congo, Nigeria, Russia, etc. about 1000 foreign customers are using the vehicles, which we designed and manufactured They mostly give us good feedback. Welcome to visit our factory and China! Waiting for your kind inquiry. Pls contact Mandy. Ma for the details. Other Descriptions box shell uses the corrugated steel plate (anti-wave) or flat type steel plate with high intensities. 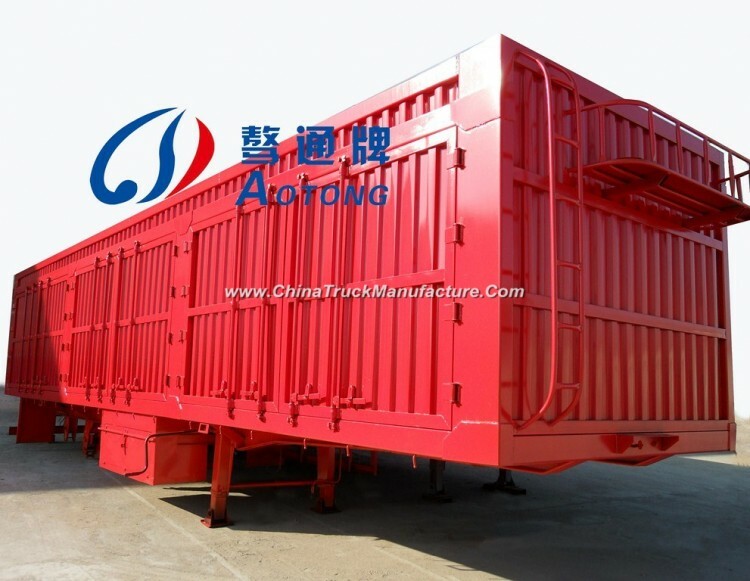 The interior part adopts askeletonless structure, maximizing the carrying capacity. X-shape tension brace fixed the box shell avery strong unit. The max height of the rear guard from ground is 550mm, and the cross section is 160mmX70mm.